This is a great all purpose attractor nymph package. 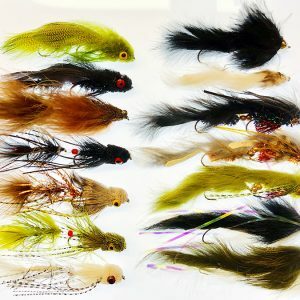 Great for spring, early summer and late fall fishing. You get the following patterns with the package. Hare’s Ear F/B B.H., Pheasant Tail F/B B.H., Prince Lite Brite Black, Purple, Lighting Bug Red, Silver, Hare’s Ear F/B CDC B.H., Pheasant Tail F/B CDC B.H., Prince Nymph B.H., Formally Known AS B.H., Hunch Back BWO, PMD, Micro Mayfly Golden, SM Nymph Black, Quill Body BWO and PMD.